Descriptors The structure for this document reflects the actual processes that might be followed on a typical project to deliver the earthworks. In practice earthworks design is an iterative process where design decisions are often taken by various parties (employer, consultant, main contractor, sub-contractors and construction validation team). This standard gives recommendations and guidance for unreinforced earthworks forming part of general civil engineering construction, with the exception of dams. This standard also gives recommendations and guidance for temporary excavations such as trenches and pits. 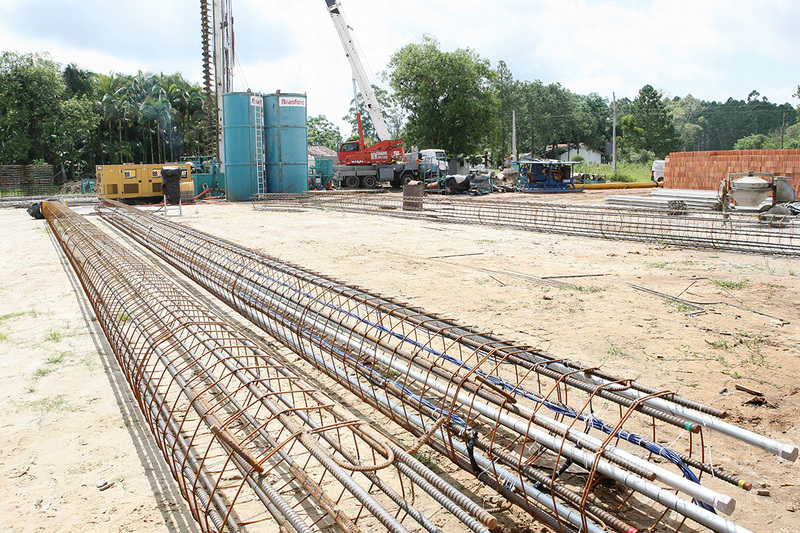 Reinforcing cages for cast in place concrete piles are made in parts of 6-12 meters length.